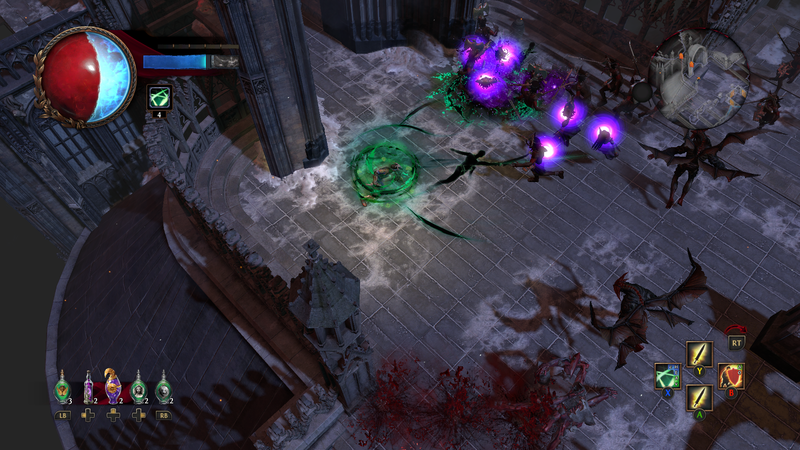 The long-awaited release of Path of Exile on Xbox One is right around the corner. We're all set to make our console debut on August 24th at 2pm (PDT). We are very excited to welcome even more exiles to our community. As per usual, the game will be free to download and available to everyone! If you're interested in supporting the continued development of Path of Exile, there is a brand new (optional) starter pack available for preorder now in the Xbox One store. The First Blood Pack includes 200 points to spend in the cosmetics store, the First Blood Weapon Effect and an Extra Stash Tab to get you on your way in Wraeclast. We hope to see you in Wraeclast soon! Also, can I buy this pack if I don't have an Xbox? And would I be able to use these MTX on the PC version? Talk to me once you get on PS4. Anything for PC beta supports playing console? No they are separated. And if you want Oriath or Harbinger Pack on XBone you have to buy it on Microsoft page later.